On the momentous day of 4 July 2017, Americans everywhere will be celebrating the 241st anniversary of the signing of the Declaration of Independence – a priceless historical document that grants citizens of the United States of America certain inalienable rights that cannot be repealed or restrained by human laws. As we gather with family and friends for fun times, barbecues, and fireworks, let us be ever mindful that the freedoms that we so dearly cherish are not free, but those freedoms carry a hefty price tag – a price that is often paid by the spilt blood of those who give their last full measure of devotion to ensure that that the United States of America will always remain the “Land of the free, and the home of the brave.” Let us also be reminded that although we are a powerful and great nation, we are not invincible. The events that occurred on that somber September morning in 2001 are an ever-present reminder of this. 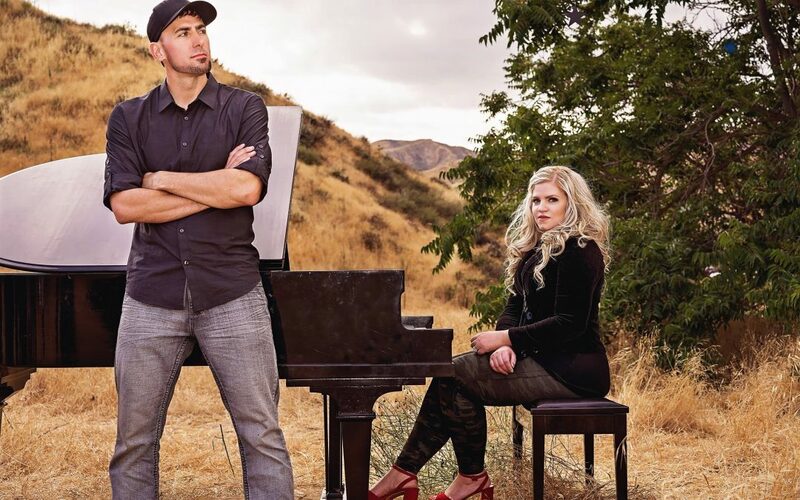 Jennifer Thomas, an independent American composer, pianist, violinist, and concert performer, has collaborated with spoken word poet/artist Jeremy Nelson (J.ournal) to create a dynamic video with a powerful message that is so desperately needed at this hour when there are so much turmoil and unrest in the world. The video, called “Nine Twelve,” takes us back to the day after the horrific events had occurred on American soil – 12 September 2001. As he continues the narration, we see people walking around covered in dirt, ashes, and blood and in a confused and dazed state. They represent the survivors who in the aftermath desperately tried to make sense of everything that had happened. The music that Jennifer plays echoes the atmosphere that was permeated with fear and uncertainty as people began coming together to support and comfort one another as best they could. People of all different faiths and denominations, races and cultures, and even nonreligious people, joined together in unified prayer for solace and peace in a situation that was seemingly out of control. The attacks had ended, but not without the cost of the innocent lives of loved ones. Many men, women, and children all became fallen victims because of the vicious attacks that penetrated our shores. The attack was the most devastating ever to happen on American soil; costing more lives than even the attack on Pearl Harbor which claimed the lives of 2,500 Americans. The victims were husbands and fathers, wives and mothers, sons and daughters. All of whom were gone too soon as their lives were snubbed out like a candle in the wind, but none of whom would soon be forgotten. Families suddenly found themselves having to make major decisions as to how to pick up the pieces and move forward. The aftershock would linger for some time to come. The events of that September morning had sent a wakeup call to people everywhere that the survival of the nation depends on everyone coming together as one, and not as individuals alone on a deserted island. Regardless of a person’s beliefs, it became evident that someone of higher power and authority had preserved our nation on that tragic day and sustained those of us who now remain to forever remember. Towards the end of the video, the music becomes more vibrant as we see the actors dancing in the field as a reminder to us of what it is like to be human.